According to a Russian state media report related by Turkey’s Hurriyet Daily News, the United States is planning to send next-generation B61 nuclear gravity bombs to NATO bases in several European countries, including Turkey. The bomb is said to be compatible with F-35 joint strike fighters, which Turkey is also due to receive amid some controversy. “The United States continues to invest in weapons of mass destruction. The NATO bases in Turkey, Germany, and Italy will receive the new bombs in 2020,” Russian nuclear expert Alexandr Jilin was quoted as saying by the agency. 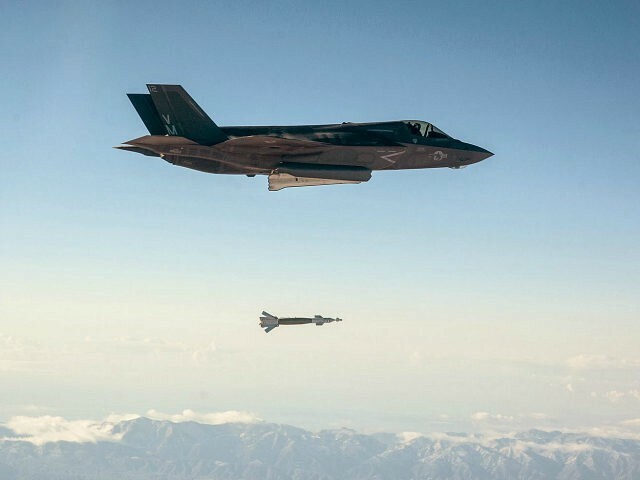 Military.com also confirmed that the F-35 is meant to be capable of carrying B61 bombs, and has conducted flight tests with inert copies of the weapon. Russian military planners are reportedly worried about the B61 because they have no comparable small-yield precision nuclear weapon, relying instead on cruise missiles that can only be launched from larger strategic aircraft. European defense planners have expressed great interest in the new generation of American nuclear gravity bombs because they would be able to turn older fighter-bombers into tactical nuclear strike aircraft.